This weekend I attended FreezerBurn VII. 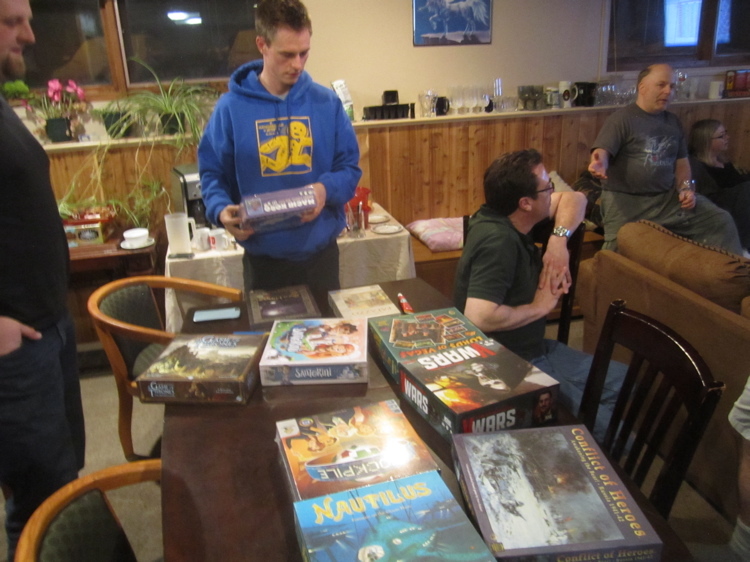 FreezerBurn is a small one day invitational game day hosted by my friend John - ToonCon organizer guy. Most of those invited are ToonCon organizers and volunteers. I went to the very first FreezerBurn seven years ago and haven’t been able to make it since. (I had planned on going to FreezerBurn V – two years ago – but ended up in hospital and missed it…). 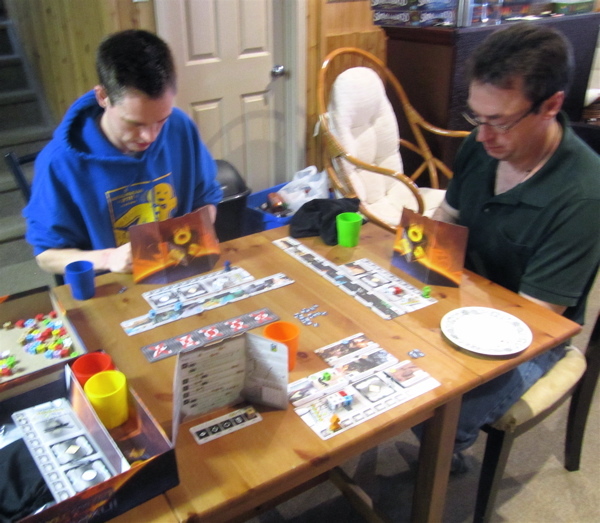 The first game was Small World, which I ended up playing with John, Iain, and Darrin. I thought I was doing pretty good, but ended up coming in third. Good fun! 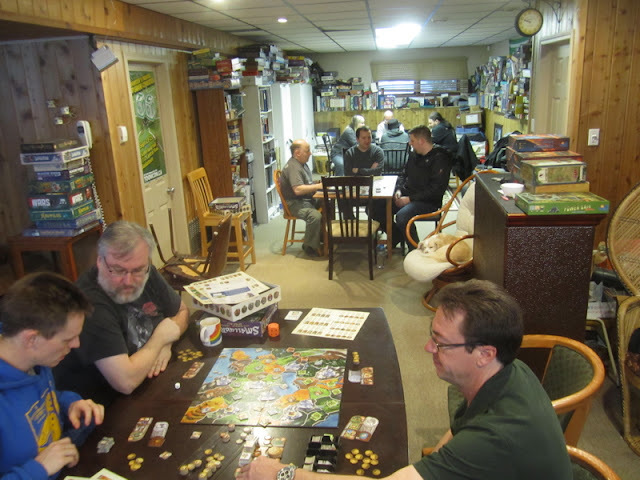 I had underworld Wizards and Bivouacking Humans and Tritons and Orcs at different times in the game… It’s been a while since I’ve played Small World. One of the other tables of Roll for the Galaxy with John, Brent, Mike and Zack. The Third game we played (after some lunch!) was Age of Industry. 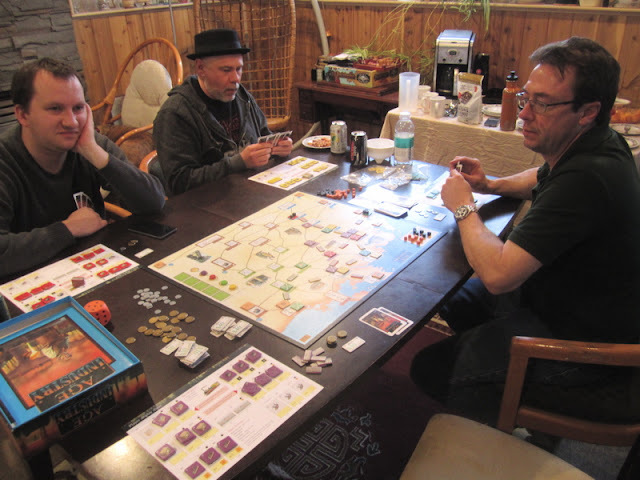 I had not played this before, but I did play Brass once – another Martain Wallace game which this game was based on… I’m familiar enough with Martain Wallace games that I was able to fudge my way through. 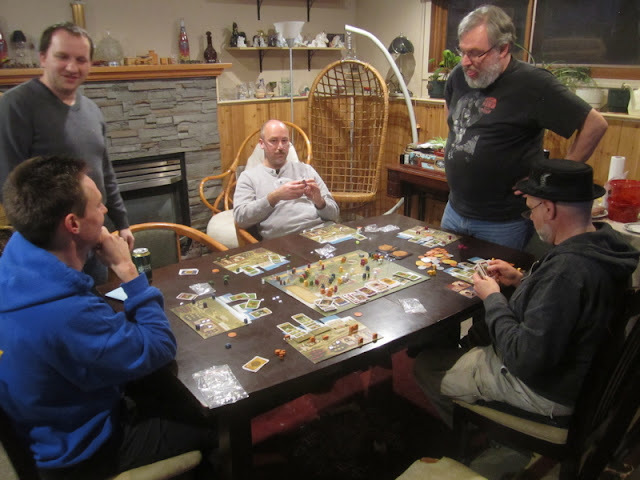 I really like this game – so many things to do! Dead last again… but a LOT of fun. 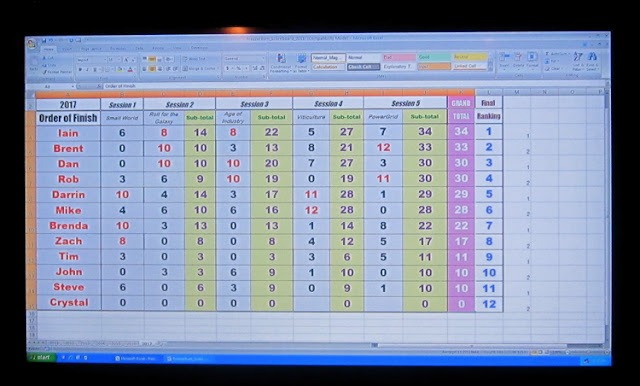 John kept track of everyone’s overall standing through out the day- and kept them posted on his big screen tv – points were awarded based on everyone’s placement in the game they played. 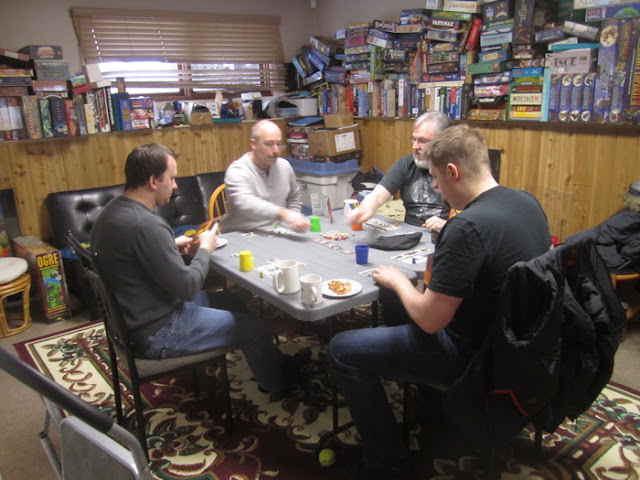 I was dead last all day – until the final round which brought me up to 9th… out of 11…. Everyone brought a game to put on the prize table and then in order of over standings everyone got to pick a game off the table. I ended up with a copy of Nautilus, which I’m pretty excited to try out. Absolutely fantastic day! Hope I get invited (and can make it out!) again next year!! 21st Battalion (Eastern Ontario), CEF – I finished painting them up yesterday. Hopefully later today I’ll get to put some grass on their bases and get some pictures taken to post. Countdown to Vimy – an update on this weeks progress. 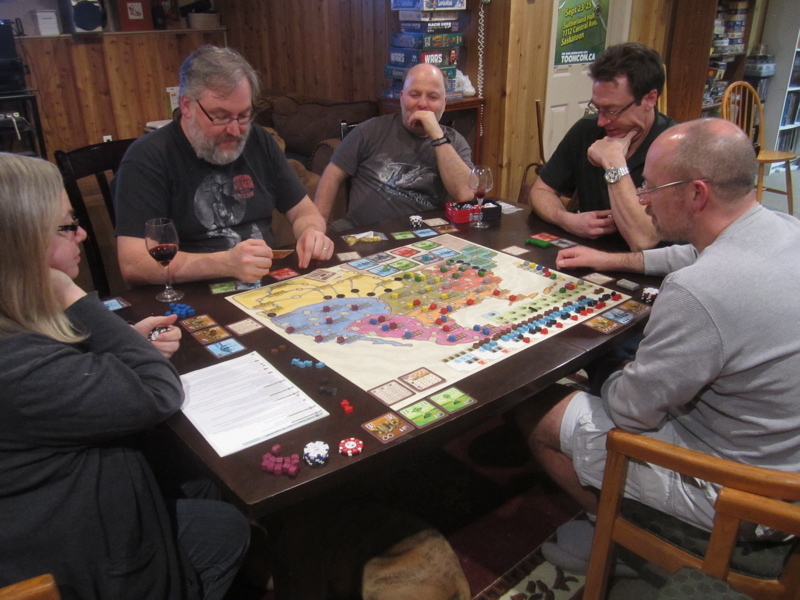 This Week’s Games – a brief note about other games I played this past week. Countdown to Vimy – 10 weeks to go! Countdown to Vimy – 11 Weeks!